Seattle. The Emerald City. City of eternal drizzle, but, also, of breathtaking beauty and adventure. 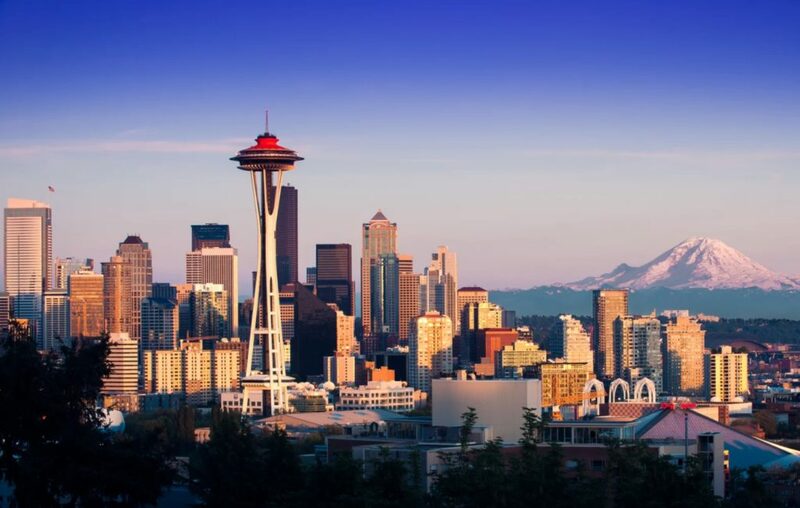 The pride of the Pacific Northwest, Seattle is one of the best and most underappreciated cities in the United States. If you want to check out the gorgeous state of Washington, you definitely need to make sure you swing by Seattle and spend 24 hours here. The best thing to do is to plan your trip to Jet City in order to make sure you get the most out of it. There is so much here that even the locals never fully uncover, and you’ve got 24 hours to try to experience it all. So this is our guide for some of the most amazing experiences you need to try to cram into your 24 hour visit to Seattle! Don’t forget your raincoat! One of the great defining landmarks of Seattle is the Space Needle. Anyone who watched The Killing will be keenly aware of what it does for the Seattle skyline. So, make sure you pay a visit to this wonderful Seattle icon. If you’re looking to save some $$$ we would advise skipping the view at the top, as it can prove to be expensive. You will find the Seattle Center here too, a 74-acre campus dedicated to science, entertainment, education, and business. This is definitely a great place to kill a couple hours. We love a good market, and, there is nowhere better in Seattle to experience and sample local food and produce than Pike Place Market. There’s also an epic fish market here as well that we totally suggest you try to check out. This is a wonderful place to come to grab some delicious local food, and browse the farmer’s stalls and pop up restaurants while listening to talented local musicians. Whatever takes your fancy, we’re sure you will find something to enjoy with a visit to this market. It’s also important to make sure you enjoy some of the amazing sights and natural beauty of Seattle. It might rain a lot, but it’s also a stunning city, and a walk along the waterfront is the perfect way to experience this. The waterfront stretches alongside Elliott Bay and is a pretty awesome spot to check out the city. This is also a great choice for those wanting a romantic walk along the river at night. Of course, you only have 24 hours so you may want to plan when to walk along the waterfront. As a harbor city, Seattle has a huge body of water that you should check out. Taking a water taxi out to the port or bay is an excellent way of getting some breathtaking scenery, and seeing Seattle from a different perspective. This is actually best to do after so you can see the city all lit up, but make sure you note the return times. These taxi rides take about 10 minutes and are a fantastic experience for you, as well as one that won’t take forever. 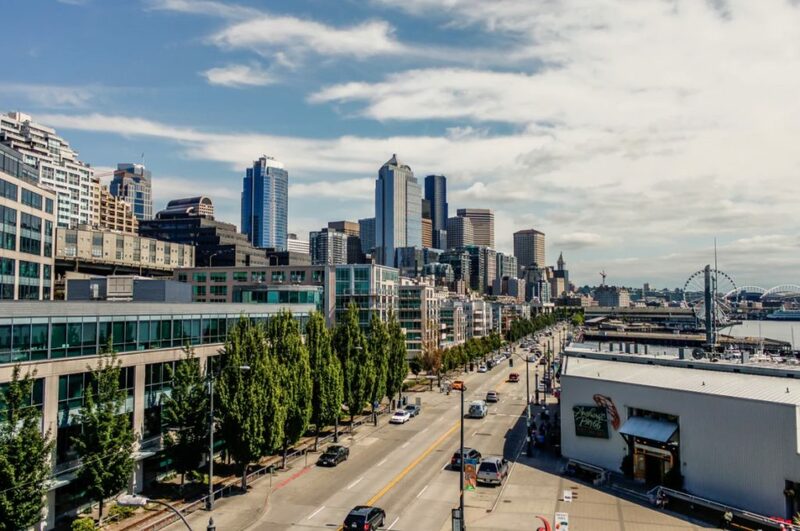 If you’ve never been to Seattle, it’s time to change that and head over to the Northwest to spend some time in this amazing city. Washington has some amazing cities, but there aren’t many out there as fantastic as Seattle. We hope you will find our guide useful, and that it will help you to have a fantastic 24 hour break in The Emerald City.